Speed up and slow down songs without changing their pitch with time stretching, or just change the musical pitch so your songs play in harmony. Our high-quality interpolator can also reproduce classic vinyl sounds like backspins. Found a sweet loop or need to extend your mix while you prep the next track? Instantly loop a 4, 8, or 16 beat segment with the press of a button. Our mature audio decoders deliver pristine sound with rock-solid stability. Mixxx plays MP3, M4A/AAC, Ogg Vorbis, Opus, FLAC, WAVE, and AIFF formats. Mixxx features multiple choices of audiophile filters with adjustable EQ shelves. Crossfader curve control lets you deliver quick cuts or long, smooth crossfades. Add sizzle to your mix with reverb, echo, flange, and more. Assign a Quick Effect to your controller's filter knob to add color to your sound instantly. Bad PA system or lousy room? Use the built-in master EQ to smooth out the sound. 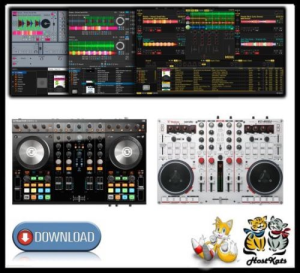 including the Traktor Kontrol S4 MK2, Vestax VCI-400, Hercules RMX, Numark Mixtrack, Stanton SCS.3d, and many more. Control Mixxx from your existing turntables or CDJs and a mixer using timecoded vinyl or CDs. Timecode vinyl control software for Windows, Mac OS X, and Linux, so we made sure to do it right. 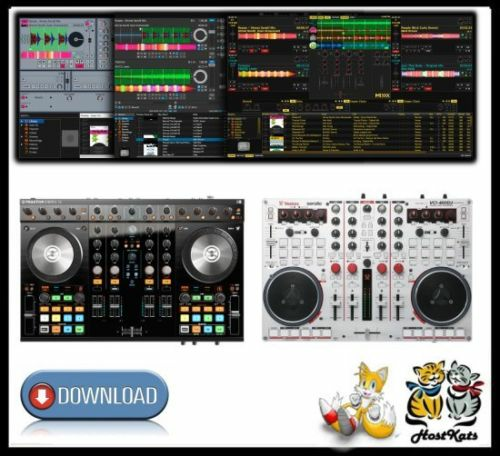 Serato CV02, Traktor Scratch MK1, and MixVibes DVS V2 timecodes are supported with absolute positioning, needle cueing, and end-of-record detection. Mixxx even works with the soundcard you already have!